This subterranean lair also comes with a suite of comforts and options. Once you’ve chosen your property from Maze Bank Foreclosures, you can pick from a range of styles. Add a shooting range (and compete against up to 3 other players), personal quarters, a gun locker and bespoke transportation options. When you’re ready to escalate your operation, the Bunker can store a fully road-ready Mobile Operations Center. These massive rolling strongholds are available from Warstock Cache and Carry, and serve as another property in your portfolio - complete with options for three modular bays that can be assigned to tactical services like a Command Center, personal amenities like Living Quarters, or in-house customization workshops like the two-bay Weapon & Vehicle Workshops, or the modest Personal Vehicle Storage. APC – A heavy duty armored personnel carrier equipped with a turret-mounted cannon that tears through metal like a hot knife through butter. Portholes offer vantages for small arms fire for up to four heavily armed mercenaries while the armored hull can conduct combat anywhere across both land and water. Available upgrades include SAM Battery and dropping Proximity Mines for pursuers to discover. Half-Track – Who says you can’t have your 4 layer quad cannon shaped cake and eat it too? Wield the all-terrain capabilities of a tank, with all the advantages of a super-loaded truck: straightforward handling, a spacious cabin, and lots of fresh air for the lunatic on the .50 cal in the back. Swap that .50 cal for Quad 20mm Autocannons and add Proximity Mines from your MOC’s Vehicle Workshop. Oppressor – It’s a motorcycle that flies. As if you need to know anything else, this rocket-powered hyperbike offers all your principles of flight in one package; thrust, extendable wings for lift and drag, and a front-mounted machine gun for good, clean fun. Poor aim? Upgrade the machine gun to Missiles. Anti-Aircraft Trailer - What you choose to reduce to smoking rubble with this thing is your business, and the sky is most definitely not the limit. Comes towed by a Vapid Sadler as standard, and artillery can be upgraded to Dual 20mm Autocannons or a Homing Missile Battery. This new breed of mobile weaponry means a whole new frontier of criminal enterprise. As you complete supply missions and as your Gunrunning business flourishes, unlock and launch Mobile Operations from your Mobile Operations Center. Complete each to unlock the Warstock Trade Price. A huge range of tactical customizations are made possible by MK II upgrades available exclusively from your Mobile Operation Center’s Weapon Workshop. MK II variants of the Pistol, SMG, Heavy Sniper, Combat MG, Assault Rifle and Carbine Rifle deliver a wealth of options including new magazines packing tracer, incendiary, armor piercing, hollow point and other types of rounds. Add Night Vision, Holographic and Thermal Scopes, new grips, suppressors, Muzzle Brakes, Liveries, Tints and much more. As always, this Title Update also brings with it a vast array of other features, enhancements, optimizations and fixes. Check out the full Title Update notes at the Rockstar Support website. 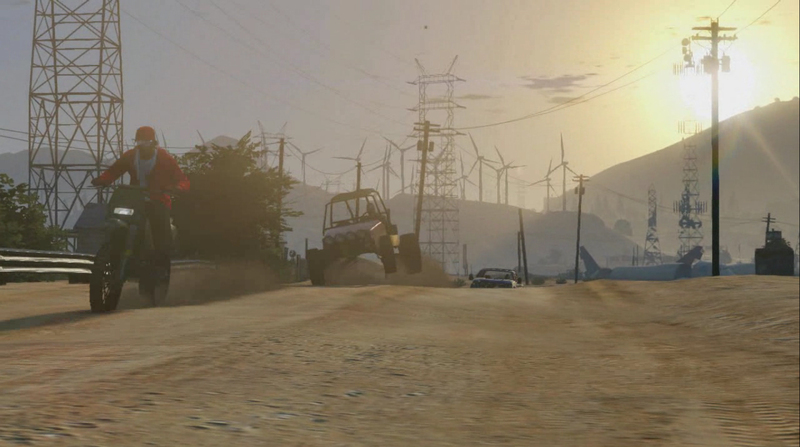 Check out screenshots at the Rockstar Newswire here and hit up the forums! 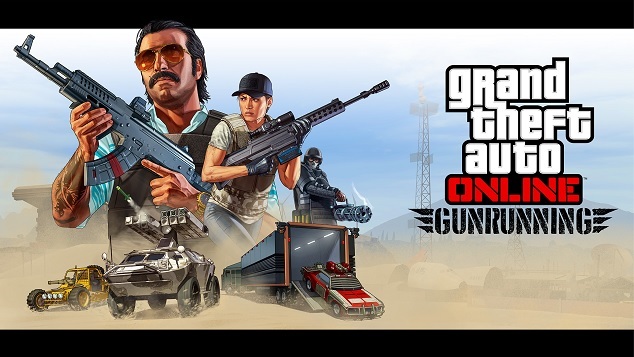 GTAO Gunrunning Now Available - The latest DLC for new-gen GTA Online is now available: Gunrunning!